If I were to visit Oman Where would I go and why? What do I seek for when I travel… that would be my primary questions. That would an interesting point to ponder on what is my destination, why am I travelling to this place. Let’s not go too much into spiritual aspects of it, if I have to go out of the comfort of my home office, then it would be for an event. What I normally do is fit in small sightseeing within it. Muscat festival—musical festival between January and February where one can experience the traditional Omani lifestyle includes culture and folklore. Cultural theatre program December to March end organized by tourism ministry focusing on world theatre. Sinbad Classic a global fishing event. Oman adventures a two member team event, one runs while the other cycles. This was a five day event, each constituting a one day phase; the race begins early morning and concludes in the evening. With one off special night phase. The participants have parts where the contestants would have to carry the cycle on their shoulder. Each team is responsible for handling all their needs. Bidiyah Challenge which is a new entry to the Gulf sports calendar. Tour of Oman—a cross country cycling event. Oman does have beaches, but beaches are passé for me living along the coast all my life. Kite surfing does sound interesting but maybe not on the priority list, learning Kite surf seems interesting. I would rather start on home turf first. The desert safari over the Omani desert called Wahiba Sands or Sharquiyah sands that have dunes almost 200 meters. Imagine viewing the setting sun over a sand sea would be a great experience, camel back travel, sleeping in the Barsti huts BBQ under the stars, actually visiting Bedouins after reading about them in so many Agatha Christies, Jumping on board a sand board. This sounds interesting too. Caving the lime stone sedimentary deposits have created caves that provide great cave adventures in the world. Mailis Al Jinn, the Al-Hoota Cave at the foot hills of Jebel Shams of AlHamra which is one of the largest cave systeme in the world and the mostly unexplored Tic Cave in Dhofar. 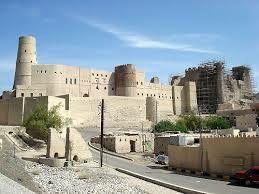 Forts:–There are forts and forts for each Omani city and town has fort of its own. It would interest to its floor plan, materials used and location and how it compares to the Indian ones. UNESCO has declared some Omani sites as world heritage sites, the Bahla Fort, in particular. The 3rd millennium tombs at Bat. The Al Khutum “Al Wahrah” and Wadi Al Ayn Tombs. The Frankincense route through the ancient cities of al-Blaid, Shasr, Khuwrm Rori and Wadi Dook. The cities that contributed to the flourishing trade of frankincense trade. 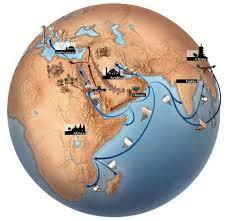 The route contains a number of sites where the process of manufacturing process and export took place. Some of these sites are part of the world heritage site. The Falajas—the unique Omani water systems. 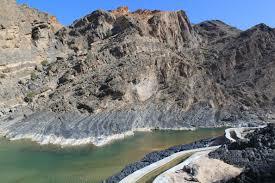 This 2000 Omani irrigation legacy it is still a water source that the Omani cities and villages rely on. There 5 Falajas have been declared as world heritage sites. Horse and camel racing organized by Oman Equestrian. I am a PETA person so this is off for me. Events—its Muscat festival definitely since that covers my love for culture, heritage and folk world. Natures trail–Viewing the flora and Marine life in the long coastline, particularly the variety of hard and soft corals sounds interesting. Dolphin, turtle and bird watching is fine. Oman has a 460 species birds but would be unique is the whale watching. Desert safari.—from the ocean and mountains, the sea of sand would be an absolutely interesting. Forts—the Middle Eastern world has traded with India for years, the fort of Mirjan near Karwar was built by the kings of Keladi for these traders, it would sand layout wise. It would also be interesting to study the forts on a comparative platform. The Frankincense Route that is as exciting as the silk route though not very glamorized. 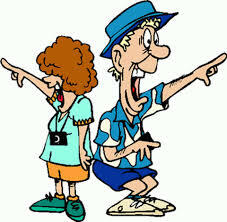 The final tour plan would of course depend on time, and finance, but its Frankincense route and the Falaja’s on top of the pops, followed by Desert Safari, the caving, then Natures trail, Muscat Festival and then Forts. If I do find an adequate partner and sponsor the cross-country bicycling is an event to seriously consider. Next PostNext Srisuktam and Akshaya Trithya.